With the tagline, "A new kind of network," Xfinity Mobile has two pricing tiers. You can pay $12 per GB for each line, or an Unlimited option is available for $65 per line. Comcast says that the Unlimited tier drops to $45 per line for "our customers with our best X1 packages." In addition, Xfinity home internet customers can get 100MB for free each month (up to five lines). Taxes and fees are not included in that pricing, but there are no activation or access fees. Unlimited calling and texting is included in both pricing tiers, and there is no restriction on video/audio streaming. However, unlimited speeds will be throttled after 20GB is used. Xfinity Mobile is using Verizon's network, so coverage should be pretty good across the US. One of the more unique aspects of Xfinity Mobile is the ability to mix and match across lines. Families can choose between per-GB or Unlimited data for each line. Customers can also switch between data options at any time during the billing period with no penalties. You might be thinking that $12 per GB is a bit expensive, but there are a few ways to save on data costs. A while back, Xfinity began providing home internet customers with routers that doubled as free Wi-Fi hotspots for other Xfinity customers. 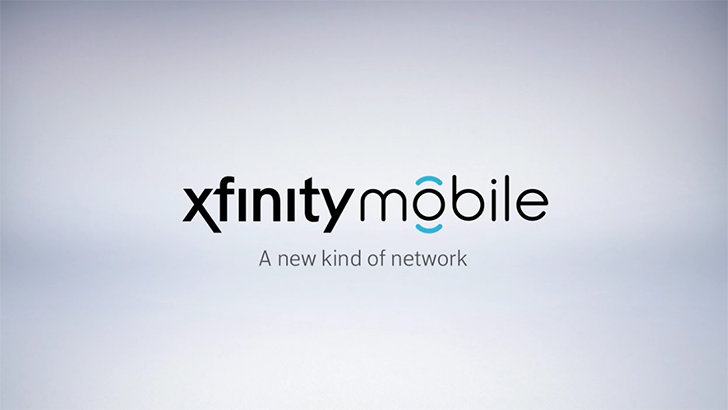 When you use a phone on Xfinity Mobile, it will automatically connect to all those networks. There are a few major catches with Xfinity Mobile, at least for now. As of today, only Comcast employees can sign up for it, and a consumer launch isn't expected for another few months. When it does go public, it will only be available for customers paying for at least one other Xfinity service (internet, phone, TV, etc). Also, you can't bring your own device, at least not yet. Presumably this is because some special software is required for automatically connecting to Xfinity hotspots. Comcast says that "the best devices from Samsung and LG" will be available, along with a handful of iPhone models. Two apps for Xfinity Mobile have now appeared in the Play Store. The first, simply called 'XFINITY Mobile,' is for account management and support. The second app, XFINITY Mobile Voicemail, is exactly what it sounds like. You can find both at the Play Store below.